Sinking our teeth into flaky loaves of French bread stuffed to the brim with seafood and dressed in a perfect combination of veggies and mayonnaise is one of New Orleans’s most revered rituals. 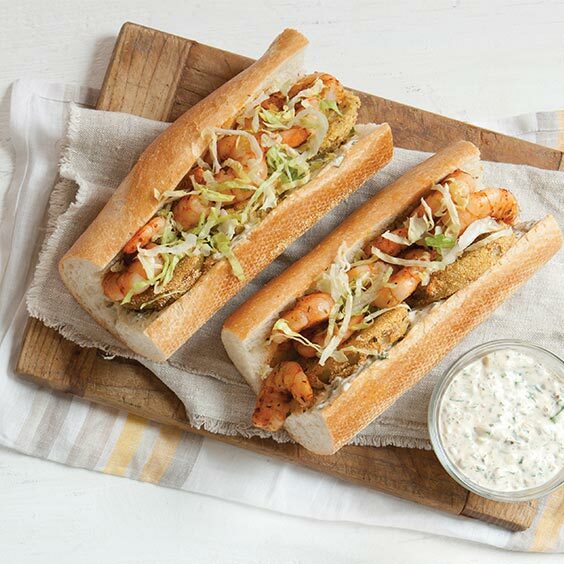 The po’ boy is our go-to menu item for lunch and one of the first local traditions we share with out-of-town guests. One might argue that the best way to take these venerable bites of culture is in the Crescent City, prepared by a skilled po’ boy chef, and New Orleans author Todd-Michael St. Pierre would be quick to agree. However, he does not abide the assertion that good po’ boys can’t be made at home. Enter The Southern Po’ Boy Cookbook (Ulysses Press, 2013). 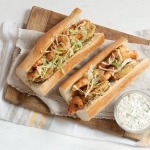 Featuring all the traditional fillings, plus an array of delicious new variations, Todd-Michael’s book offers recipes for over 50 po’ boy sandwiches inspired by Louisiana’s diverse places and cultures. Better still, if you can’t buy authentic po’ boy bread locally, the book’s introduction guides you through the process of creating at home what is arguably the sandwich’s most important component. 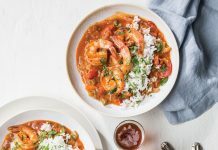 Packed with captivating po’ boy trivia and plenty of local flair, The Southern Po’ Boy Cookbook provides an authentic taste of New Orleans, wherever you happen to be. In a large Dutch oven, pour peanut oil to a depth of 2 inches, and heat over medium heat until a deep-fry thermometer registers 350°. 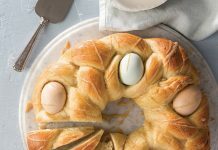 In a small bowl, whisk together egg and milk. In another small bowl, add flour. In another small bowl, combine cornmeal, salt, and pepper. Dredge tomato slices in flour, dip in egg wash, and coat in cornmeal mixture, tapping off excess. Cook tomatoes, in batches, 3 to 5 minutes per side or until golden brown. Let drain on paper towels. In a medium bowl, combine olive oil and Cajun seasoning; add shrimp, and toss. In a large nonstick skillet over high heat, cook shrimp about 2 minutes per side or until pink and firm. On the bottom half of baguette, place tomato slices and shrimp. Top with lettuce, and drizzle with Rémoulade Sauce. Cut in half crosswise, and serve. 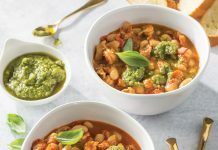 In a medium bowl, combine all ingredients. Cover and refrigerate at least 8 hours and up to 3 days. Thanks a lots. Your recipes enhance my job.